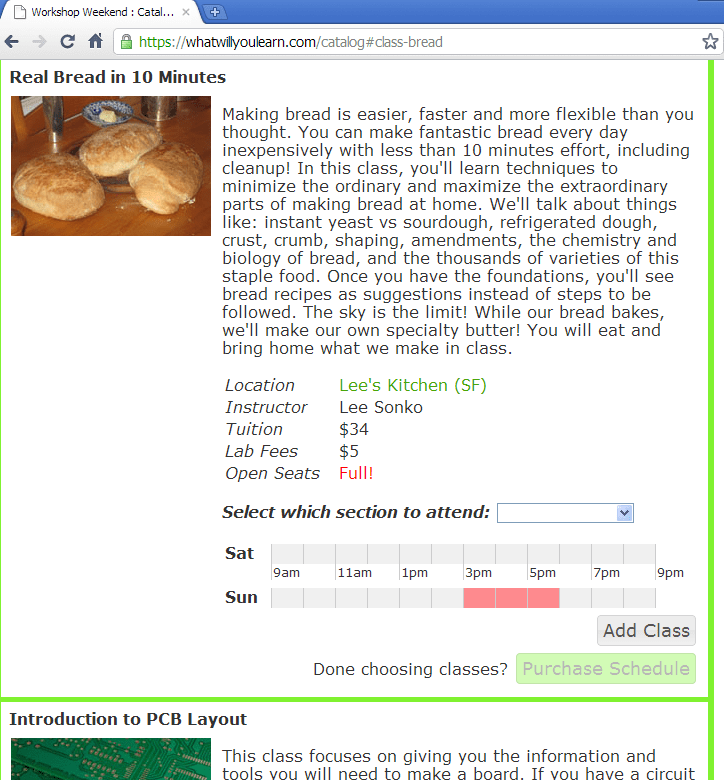 Lee.org » Blog Archive » Keeping Bread Real, in Just 10 Minutes! Keeping Bread Real, in Just 10 Minutes! Another successful Real Bread class. There are 4 more people in the world ready to go out and make some friggin bread! And darn it, the home made specialty butters came out terrific! Cinnamon butter is surprisingly awesome. 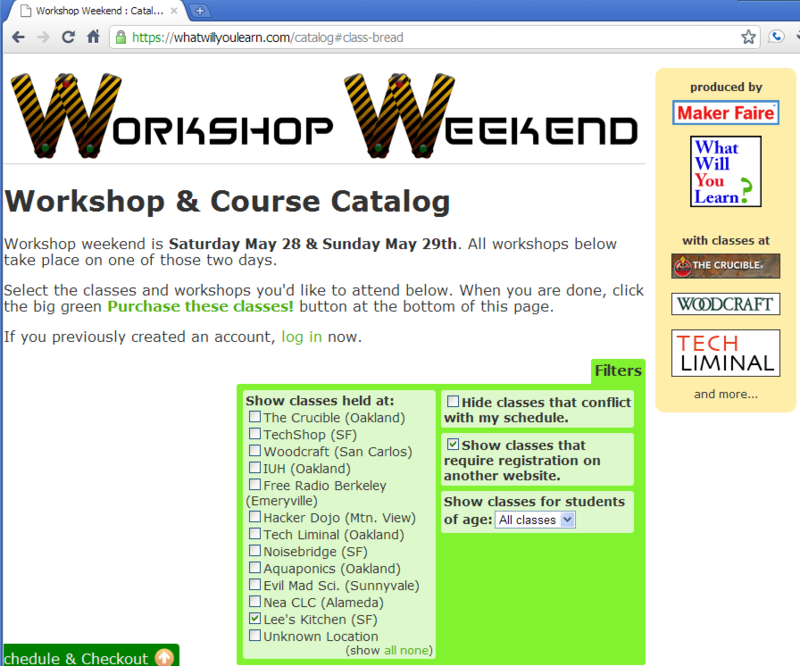 This class came by way of WhatWillYouLearn.com which is gearing up to be something supremely cool. My class sat between “Sequence Your Own DNA” and “Introduction to PCB Layout” on the calendar, which is pretty rad!